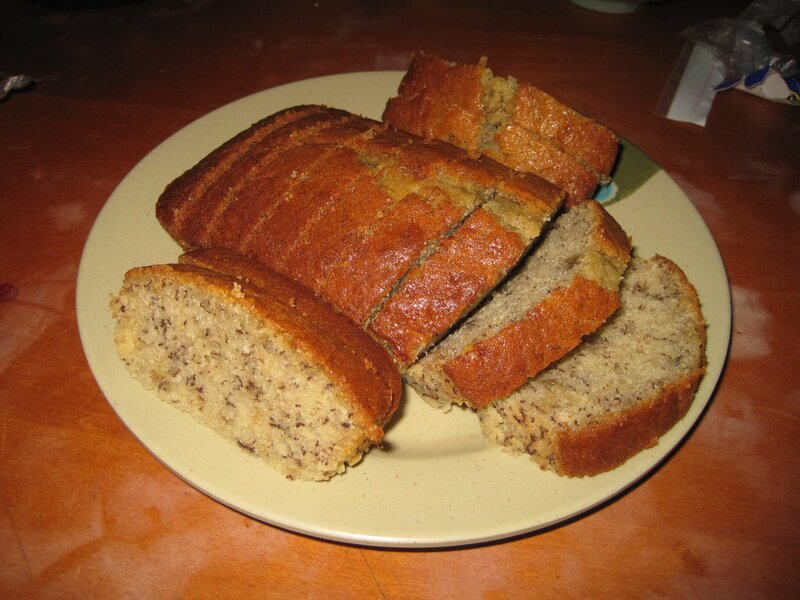 I adore banana bread; while this is a recipe for my banana bread, we’ll see a unique baking option, too: rice cooker banana bread. 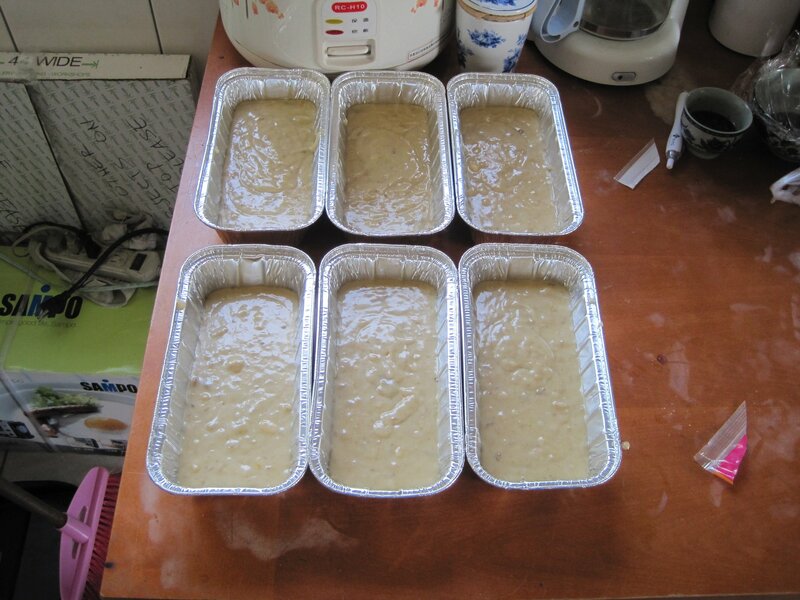 First, I’ll show you how to make banana bread, traditionally, in an oven; then, we’ll get to rice cooker banana bread. 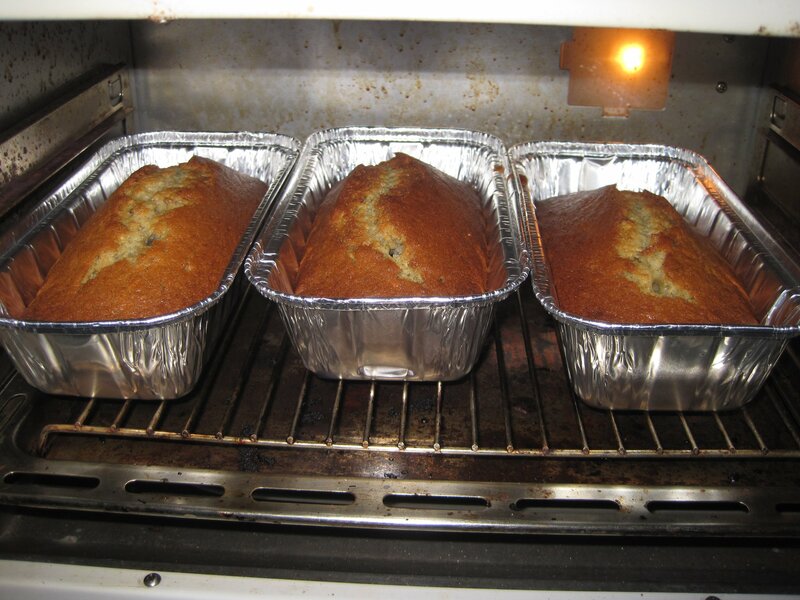 It’s best to use over-ripe bananas. Mine aren’t quite ripe enough, here, but it’s not a huge deal if they’re still a little yellow. 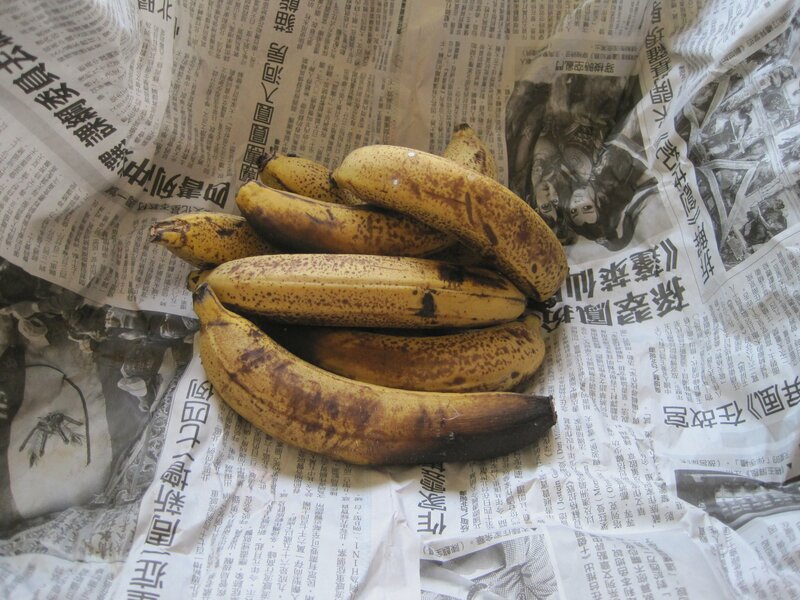 Wrap your bananas in newspaper or put them into a brown paper bag, if you want them to ripen faster. 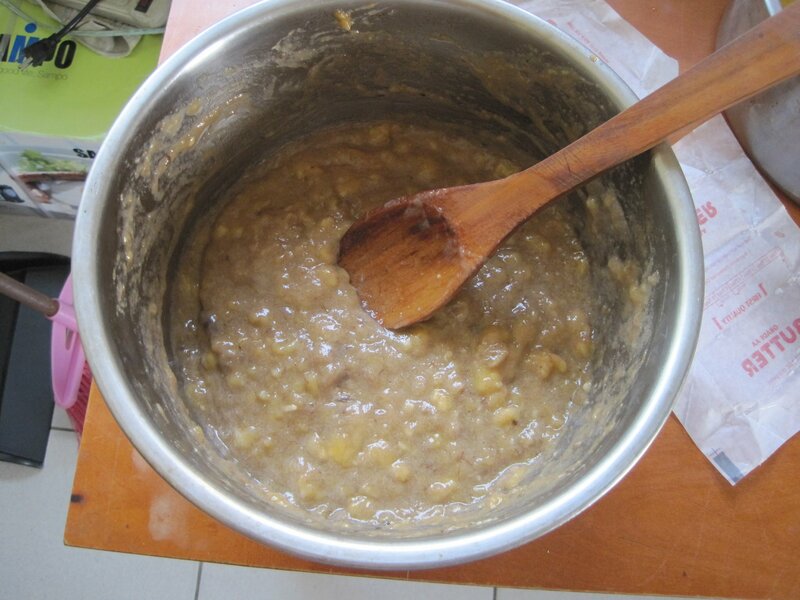 The more ripe they are, the less chunky it will be, but you can always let them sitfor an hour after mashing, and the mixture will break down. But it’s not a huge deal, if they’re a bit chunky. It will bake-out just fine. 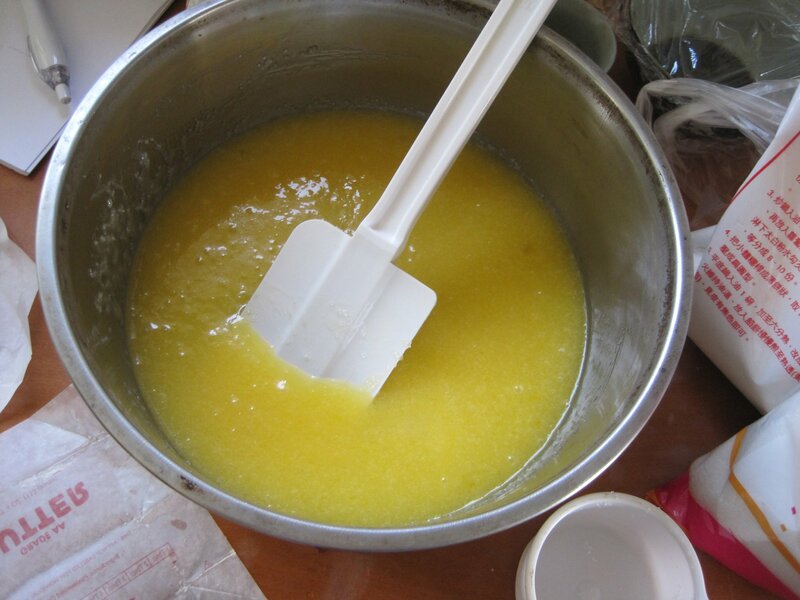 Melt your butter and put it into a pot. Then add your sugar. 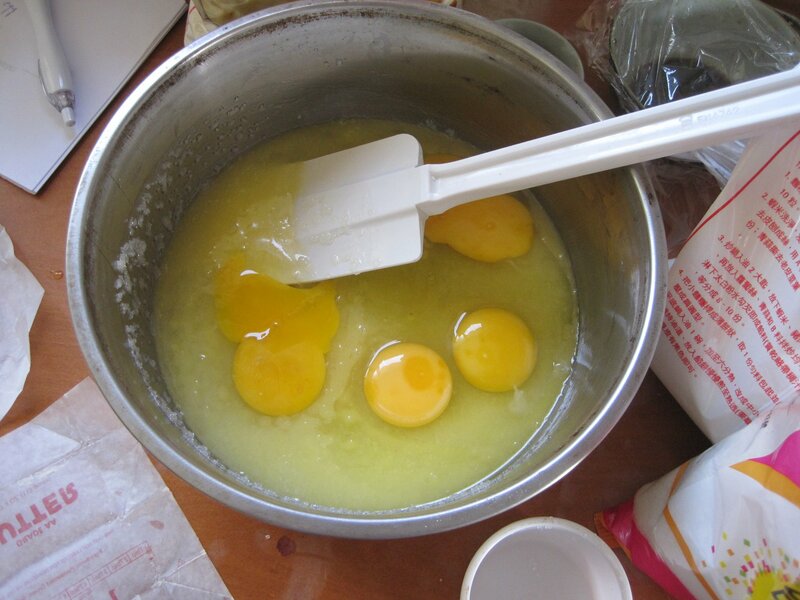 Mix in the baking powder. 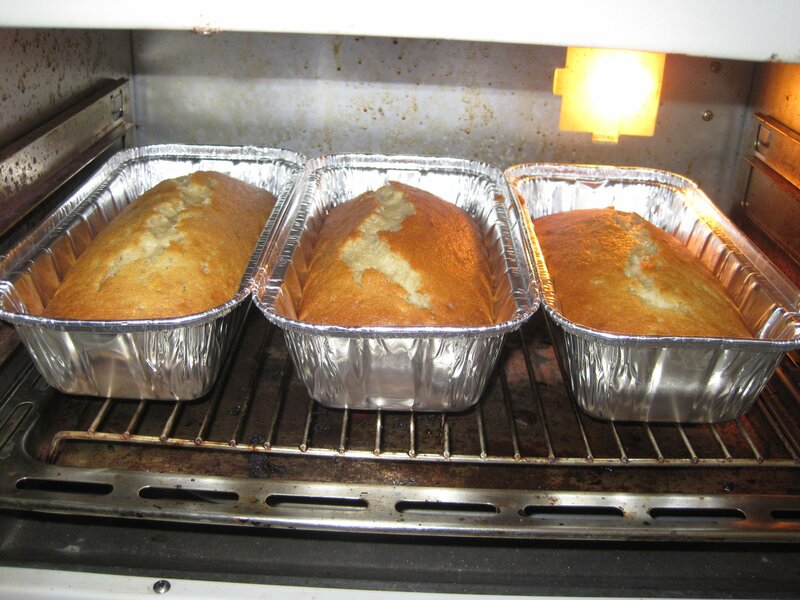 If you don’t have baking powder, you can just use baking soda, but only use 1 tablespoon, and be aware that your bread won’t be as fluffy as if you used baking powder. 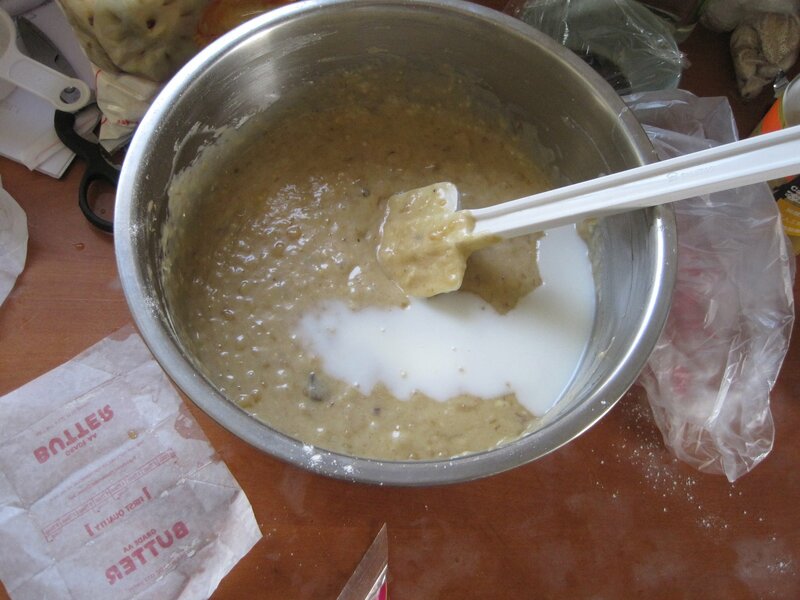 You want to add your flour and milk alternatively. 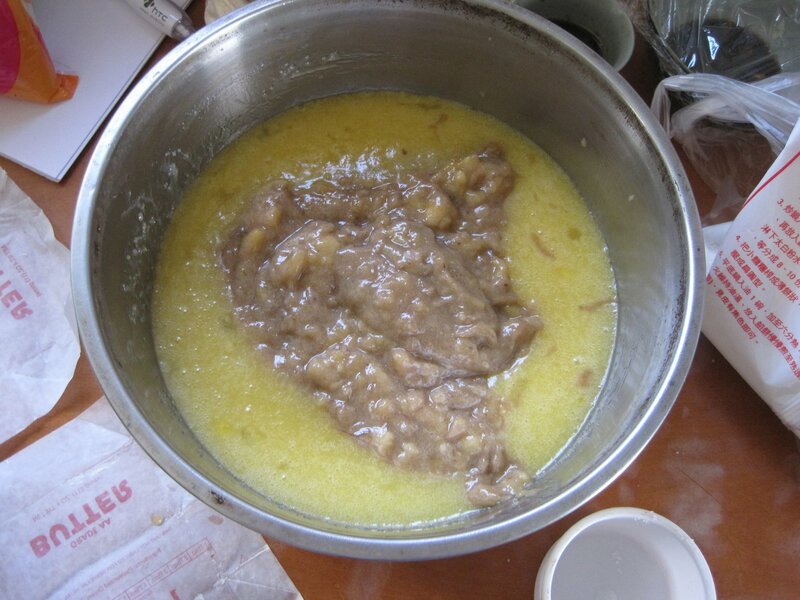 Drop in a little flour, then mix it. 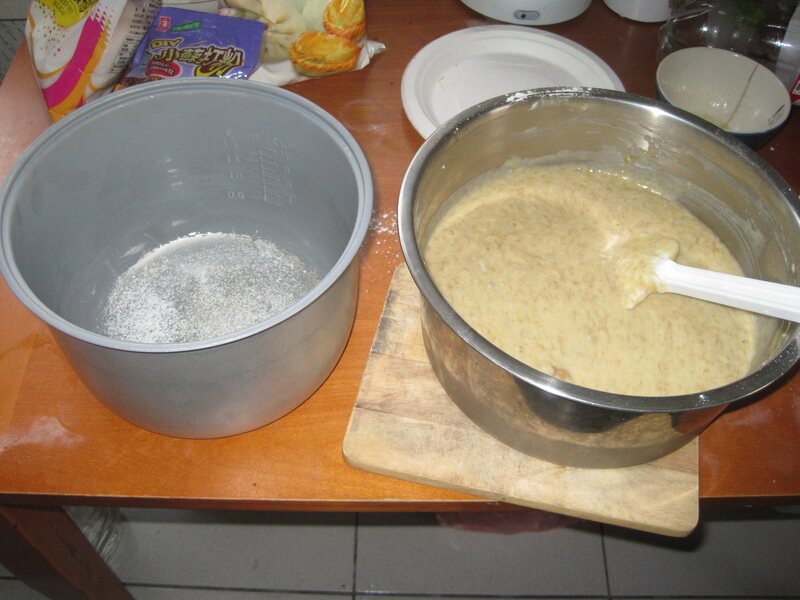 Mix in the flour and pour in a bit of milk. 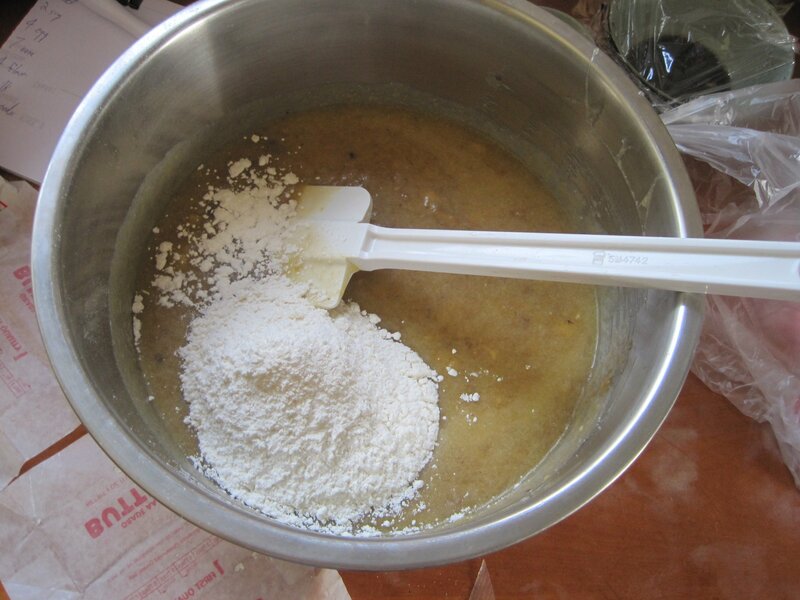 Mix in the milk, then put in a little more flour, then repeat the process until it’s done. Heat your oven to 350F (175C). Grease-up your pans with a bit of butter. I prefer small pans to large pans, and I like disposable foil because it makes it easy to give them away in-the-pans, if you want to. 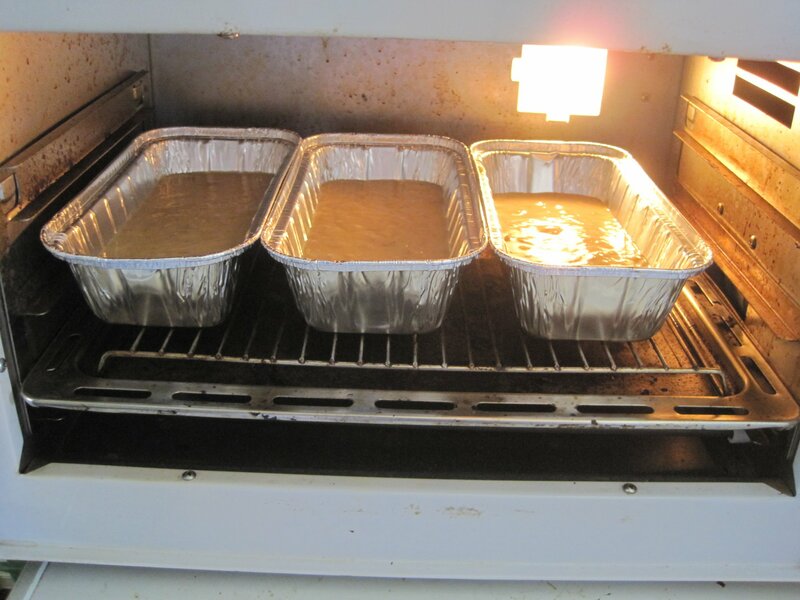 Drop those suckers into the 350F (175C) oven! 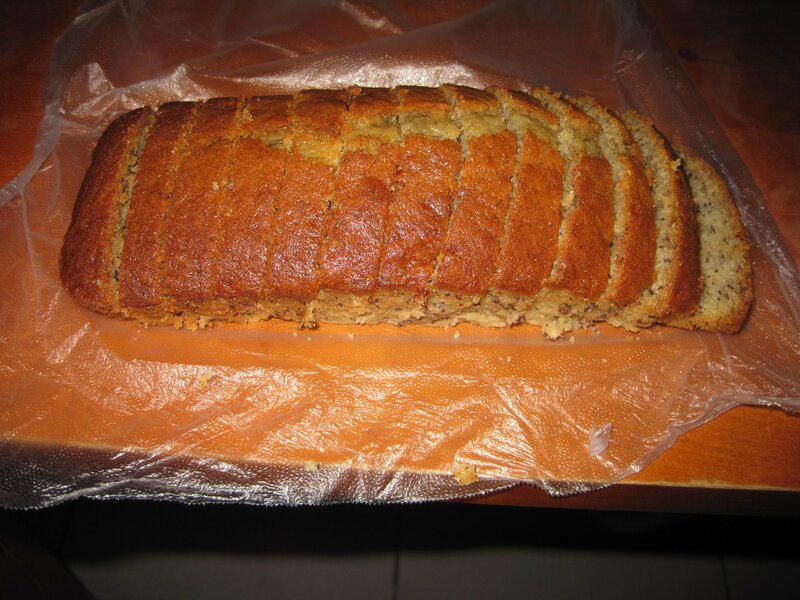 You can see, in the middle of the middle loaf, where I stuck a bamboo skewer. You can use a toothpick, or anything that’s made of wood and won’t damage the bread. If you pull it out and it’s got dough on it, the bread’s not done. 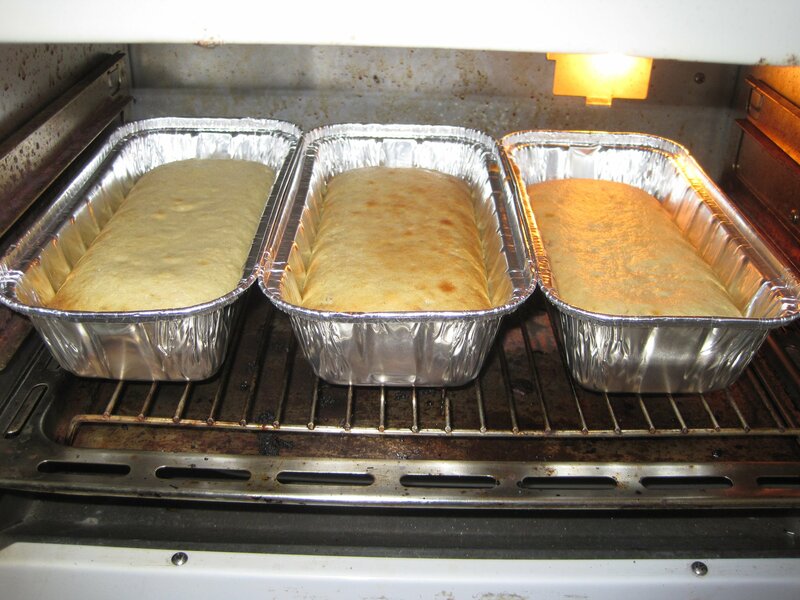 Depending on the size of your loaves, it could take anywhere from 45-60 minutes until they’re finished and you can pull them out of the oven. If I don’t want to keep them in the pans, I will just let them cool and then flip them over to remove them. I absolutely love Glad Press’n Seal. There’s really no words to describe how much I love the stuff. It’s like plastic wrap on steroids. When you finally want to eat the bread, just slice it up. Or serve it on a plate. What happens if you don’t have an oven? A lot of people in Asia don’t have ovens. But they do have rice cookers! 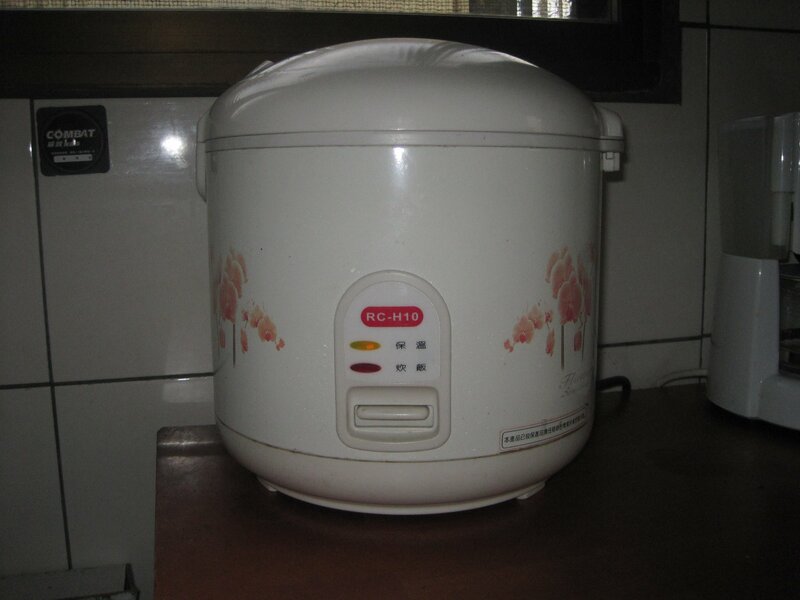 For those who don’t know, rice cookers look like this. And are generally used to cook rice. 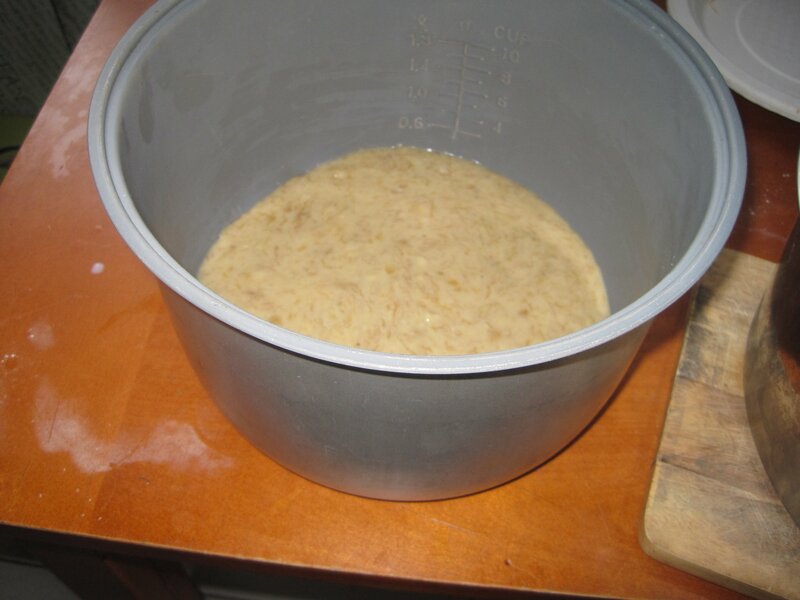 It goes the same as it did with your oven, except you’re going to want to grease the pot inside the rice cooker as heavy as you can, so the bread will come out easier when you flip it over, after it’s baked. Pour in the batter, drop in the pot, and hit the button to start the cooking. 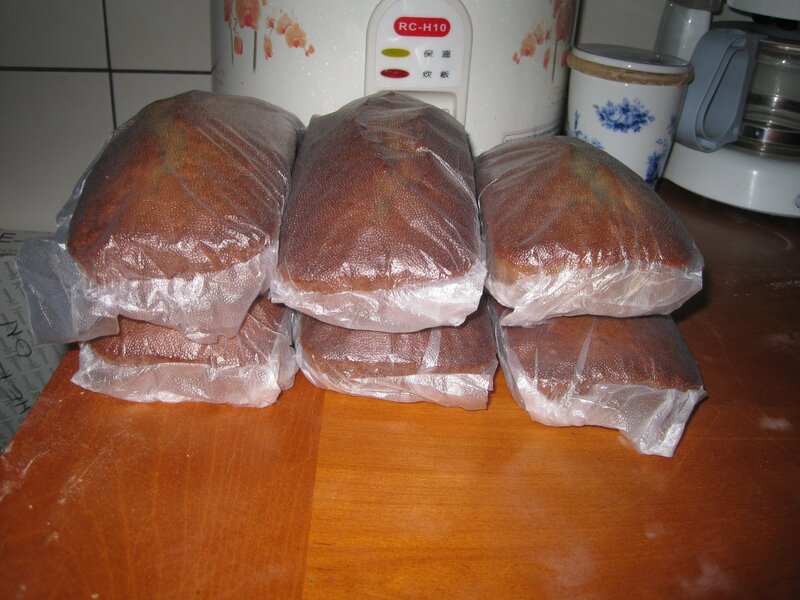 After it “pops” and goes back into warmer mode, your bread will look like this. And that’s clearly not good enough. You’ll have to press the button, again, but…that might not work. 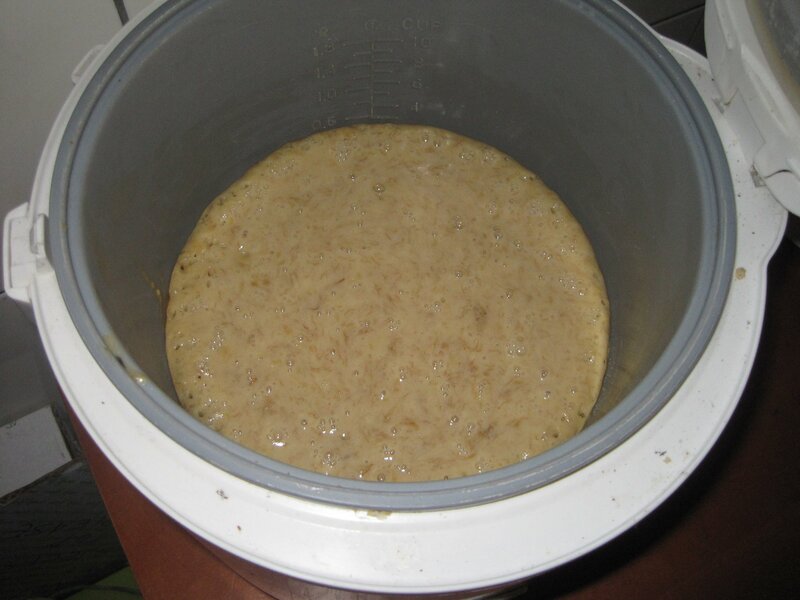 Because of the temperature sensors in the rice cooker, it will believe “the rice is cooked” because the pot has become so warm, and it will not let the button be pressed again (it will spring back into the “off” position). I lean something against the button and just continue to check the bread off-and-on over the next twenty minutes until it’s done. I cut this into quarters, put a plate inside against the bread, and flipped it over; it came out as easily as it does the pans. 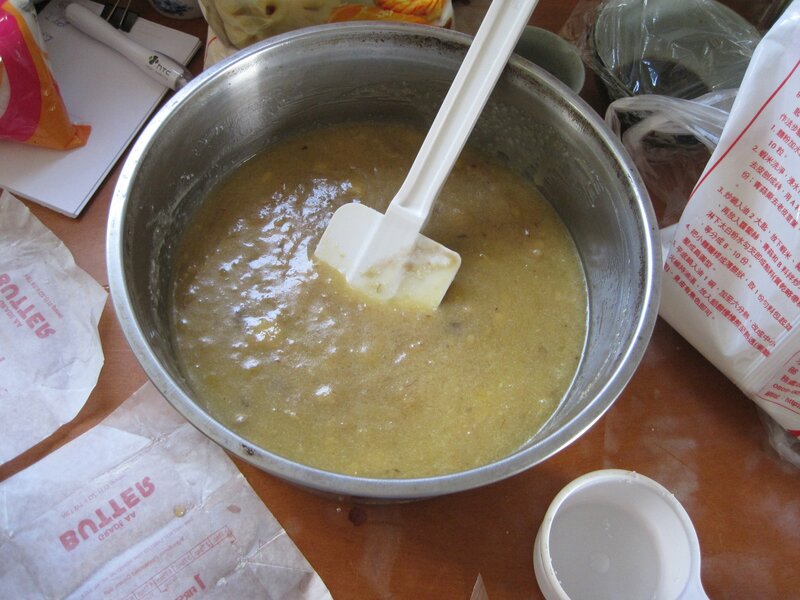 Cutting it will make it much easier to remove from the deep pot without destroying the bread. 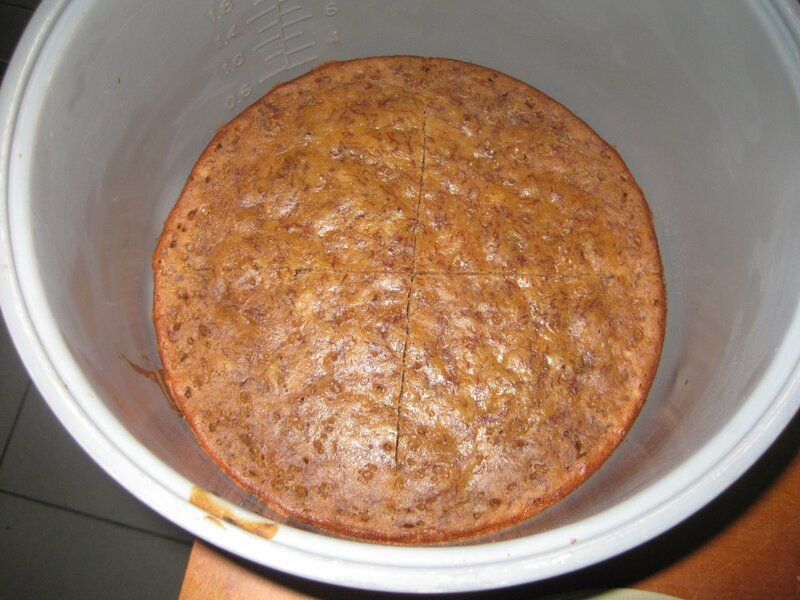 If you greased it well enough, though, it should come out and be shaped just like a round cake. Cutting it into quarters, however, does show the texture a little better, for our purposes here. 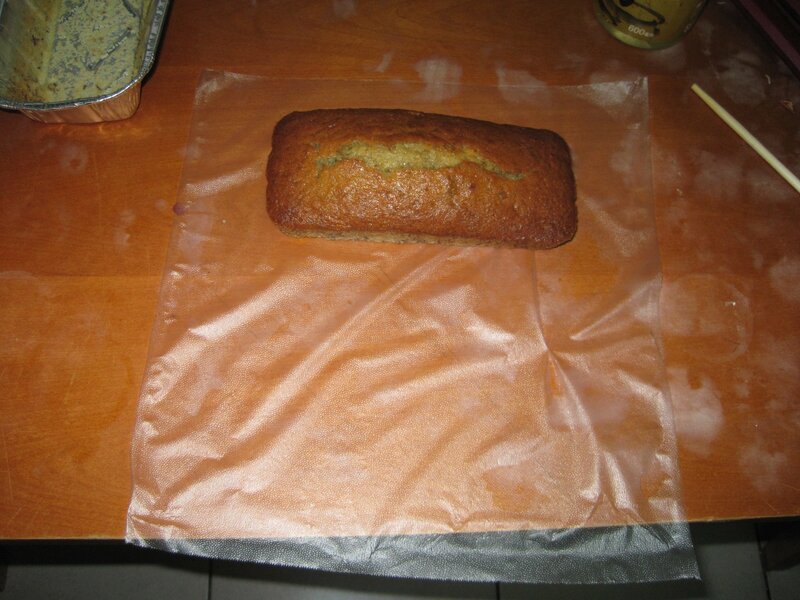 You can see it’s not quite as fluffy as it is from an oven, but, it works, in a pinch. 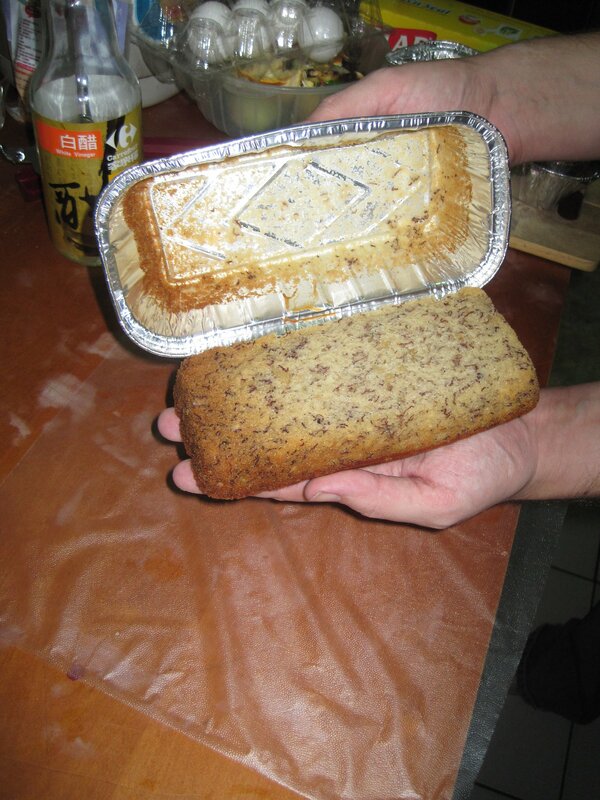 For those in Asia who are craving banana bread (or…cake) and don’t want to buy an oven, Rice Cooker Banana Bread can be awesome! 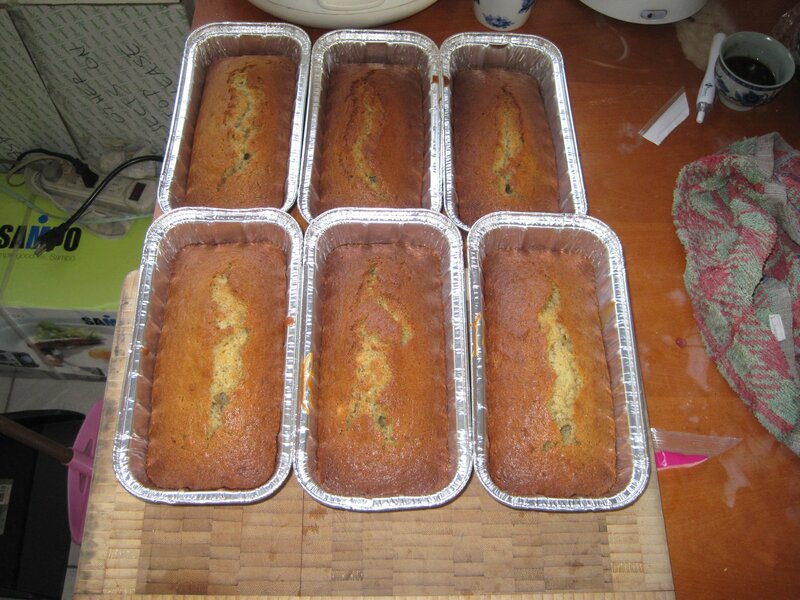 This entry was posted in Taiwan Writings and tagged bake, baking, baking in asia, baking in taiwan, baking powder, baking soda, baking with a rice cooker, baking without an oven, banana, banana bread, banana bread in a rice cooker, banana cake, best banana bread, bread, butter, cook, cooking, cooking in asia, egg, flour, great banana bread, milk, oven, ovenless baking, over-ripe, over-ripe bananas, rice cooker, rice cooker baking, sugar, taiwan, vinegar, white sugar. 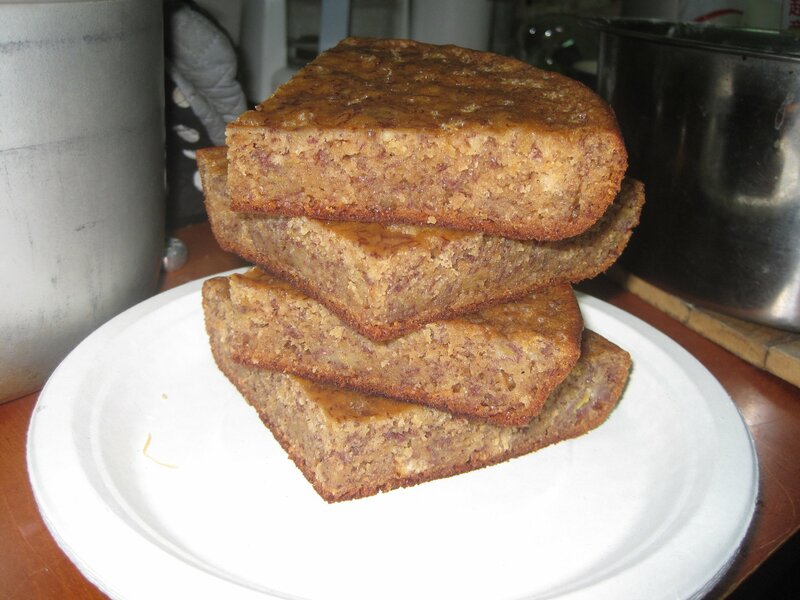 I was pretty excited to see this recipe today… I’ve struggled with banana bread in the past, it never turns out exactly how I expect it should. I’m anxious to get home to try this one out. 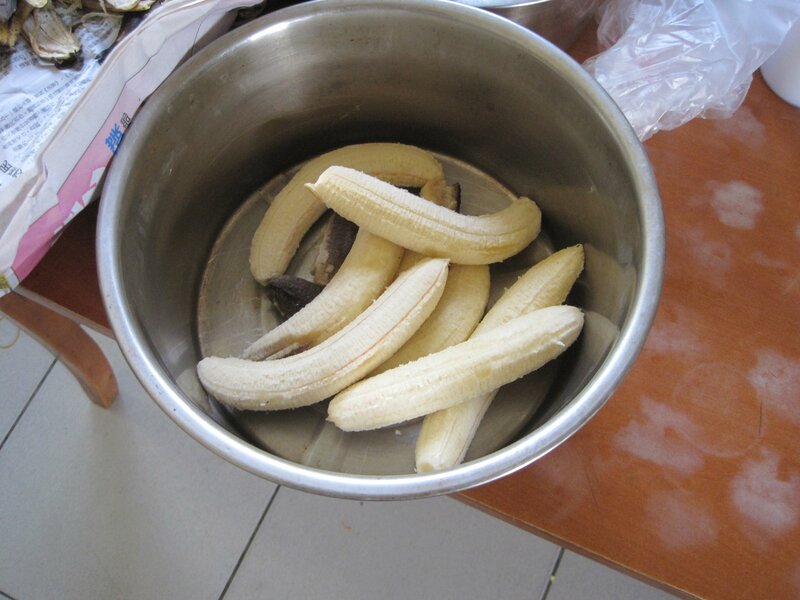 Fingers crossed that my bananas go soft quickly. 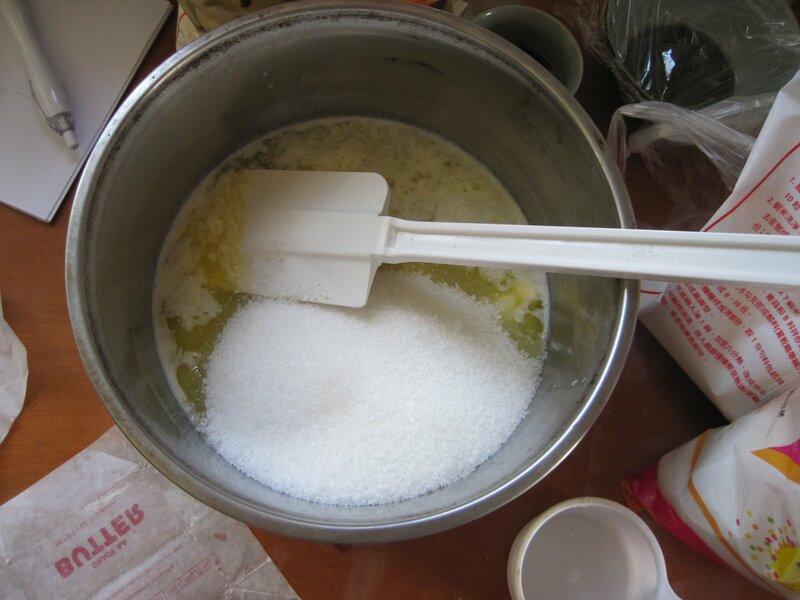 Have you ever experimented with replacing butter/sugar with olive oil or coconut oil and honey?